Poole, Dorset, September 28, 2018 – Ibcos Computers Ltd., a leading business management software vendor for agricultural, groundcare, and construction dealers, is pleased to announce that HM Revenue & Customs (HMRC) has officially recognised it as a software supplier that supports Making Tax Digital for VAT. 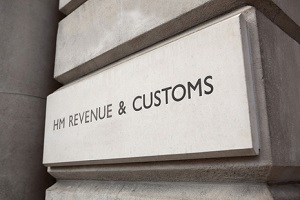 To achieve this milestone, Ibcos had to demonstrate to HMRC how Gold, its business management software, handles the end-to-end process for the creation and submission of VAT returns. Dealers who would like to know more about Ibcos Gold can do so by visiting Ibcos’ website at www.ibcos.co.uk or by contacting the Ibcos team at sales@ibcos.co.uk. For the past 37 years, Ibcos has helped agricultural, groundcare, and construction dealers manage their businesses successfully with Gold, a powerful platform based on industry best practices and standards. Gold has earned its reputation as the number one recommended dealership management software, providing single and multi-depot dealers with a consolidated business overview. With Gold, dealers can make better decisions and predict future outcomes based on real-time data. In 2012, Ibcos was acquired by Constellation Software Inc. (TSX: CSU) – an international provider of market leading software and services to a select number of industries, both in the public and private sectors. Constellation’s mission is to acquire, manage, and build market-leading software businesses that develop specialised, mission-critical software solutions to address the specific needs of particular industries. Kseniya Savelyeva Marketing Director Ibcos Computers Ltd.
Get the latest company announcements, industry news, guides, product releases, webinars, and events sent to your inbox. © 2019 Ibcos Computers Limited, a Constellation Software company.